Join the movement for inclusive child care! 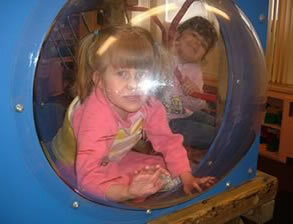 Interested in child care inclusion? Passionate about improving the quality and quantity of child care for children with disabilities? Interested in learning about methods of measuring child care inclusion? Interested in supporting an organization dedicated to these objectives? Interested in receiving timely information about resources, policy, initiatives related to inclusion? Interested in receiving discounts on SpeciaLink publications and special members-only e-messages? Become a member of SpeciaLink for only $20.00 annually (individual membership). By joining SpeciaLink, you will not only be helping a valuable organization build a membership base, but you will also receive membership benefits including discounts on SpeciaLink products and access to limited circulation chat lines and e-discussions related to this project. Privacy note: we will not distribute or share this information with any other individual or group.